Emakina can add four new shiny trophies to our treasure vault! 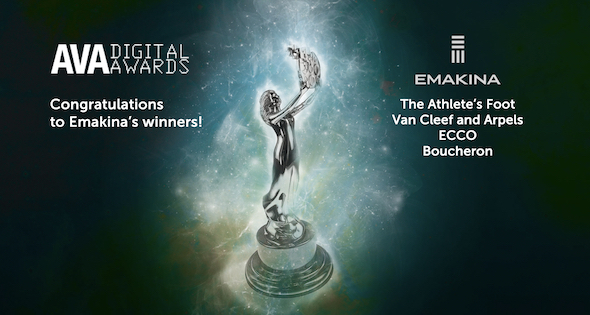 This time, the AVA Digital Awards honor our teams with two gold and two platinum prizes. The international competition recognizes excellence in planning, concept, direction, design and production of digital communication, and judged some of our projects as ‘top-shelf’. With Athlete’s Foot.com Emakina added some punch to the ‘Sport with Style’ attitude of the global retailer for trendy athletic footwear and apparel, represented in 29 countries worldwide. The new website has a perfect fit for every athlete, and it takes the number one spot in the competition with a platinum award, in the race for best web-based productions. Another platinum award is for the Van Cleef and Arpels project, receiving the highest recognition in Digital marketing. The app was the first AR activation of the exclusive brand, to showcase two exclusive new timepieces. The augmented reality experience tells a poetic story in a 3D pop-up environment, complete with tailor-made music and sound. You see the real watch on its custom display and then as by magic, planets align around the ‘Planetarium’ watch. For the ‘Pont des Amoureux’, you are part of the magic of a romantic encounter in iconic places in Paris, that pop up around the watch. The website project for ECCO also won gold in the category web-based production. The global brand with Danish roots offers leather craftsmanship, represents 7 generations of tanning know-how. Its team takes premium raw materials and transforms them into timeless shoes & accessories. So naturally, there webstore had to mirror the same innovative and refined style. And last but not least, , Boucheron also won gold in the Digital Marketing category. To celebrate its 160th birthday, the iconic brand wanted to connect with a broader audience. Wladimir the cat was the entertaining guide of a major “phygital” event in Paris. Boucheron’s real-life exhibition was packed with engaging digital action, using the codes of a new generation. 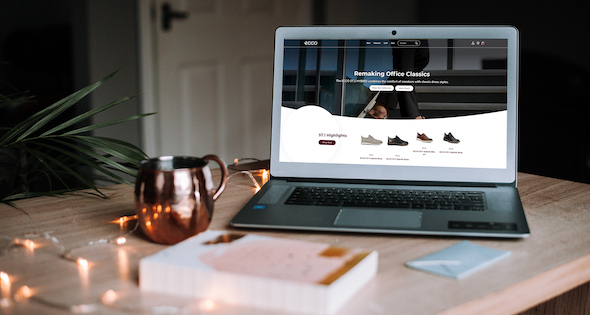 Emakina created the entire experience, producing not only a real ‘wow effect’ but also sharing the top brand’s heritage, knowhow, creativity, creations, and craftmanship. make us proud to be Emakinians, reinventing digital and boosting business, in close collaboration with our amazing clients!